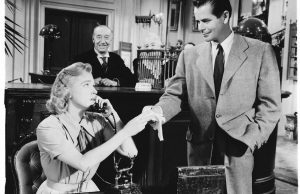 Toronto Film Society presented Whirlpool (1949) on Monday, July 23, 2018 in a double bill with The Mind Reader as part of the Season 71 Summer Series, Programme 3. Toronto Film Society presented Whirlpool (1949) on Monday, July 7, 1997 in a double bill with My Name is Julia Ross as part of the Season 50 Summer Series, Programme 2. Production Company & Distribution: 20th Century Fox. Producer & Director: Otto Preminger. Script: Ben Hecht, Andrew Solt, based on the novel by Guy Endore, “Methinks the Lady”. Photography: Arthur Miller. Editor: Louis Loeffler. 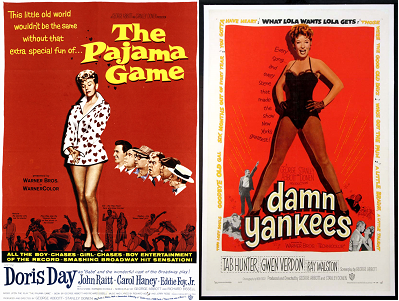 Art Directors: Lyle Wheeler, Leland Fuller. Music: David Raskin. 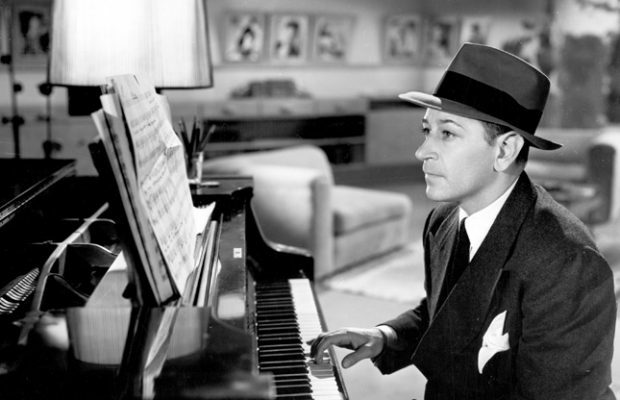 Musical Director: Alfred Newman. Special Effects: Fred Sersen. Release Date: January 13, 1950. Cast: Gene Tierney (Ann Sutton), Richard Conte (Dr. William “Bill” Sutton), Jose Ferrer (David Korvo), Charles Bickford (Lt. James Colton), Barbara O’Neil (Theresa Randolph), Eduard Franz (Martin Avery), Constance Collier (Tina Gosgrove), Fortunio Bonanova (Feruccio di Ravallo), Ruth Lee (Miss Hall), Ian MacDonald (Hogan, Store Detective), Alex Gerry (Dr. Peter Duval), Bruce Hamilton (Police Sgt. 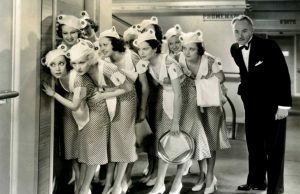 Robert Jeffreys), Larry Keating (Mr. Simms), John Trebach (Freddie), Mauritz Hugo (Hotel Clerk), Myrtle Anderson (Agnes, Ann’s Maid), Lawrence Dobkin (Surgeon Wayne), Jane Van Duser (Miss Andrews), Nancy Valentine (Taffy Lou), Clancy Cooper (First Policeman), Eddie Dunn (Watchman), Randy Stuart (Miss Landau), Helen Westcott (Simms’ Secretary). 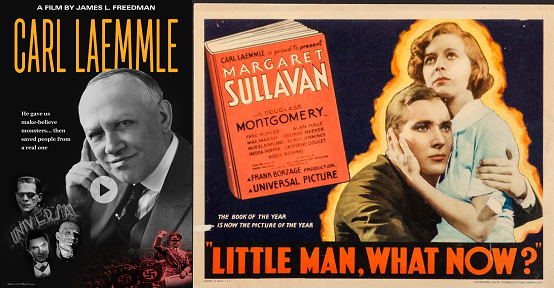 Fox studios optioned Guy Endore’s novel Methinks the Lady… in December 1945 and assigned it to Preminger. Endore worked with scriptwriter and producer Harry Kleiner on two successive drafts, the second dated April 2, 1946. These two drafts remained close to Endore’s novel. However, the project languished for more than two years. 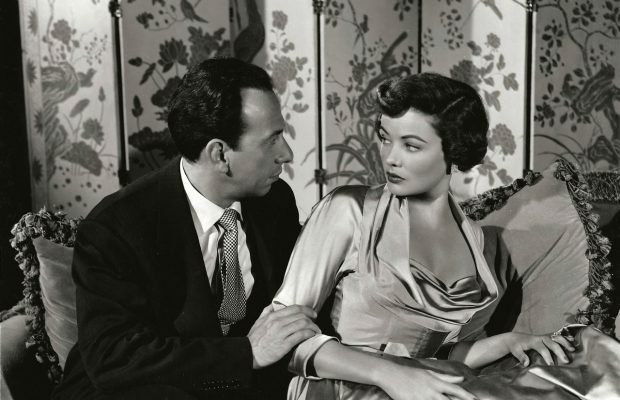 Then, in November 1948, Andrew Solt was assigned to work on a story outline and a script; and that same month, Gene Tierney and Richard Conte were announced for the leads. Solt’s December 11 outline for Methinks the Lady…, which gave the characters new names and changed the villain, encouraged Zanuck to say: “I believe for the first time we are beginning to get somewhere on this story.” From Endore’s clever and unusual novel, only a few elements are retained. Of the many differences between the novel and the film, the most decisive concern the identity and motive of the killer. 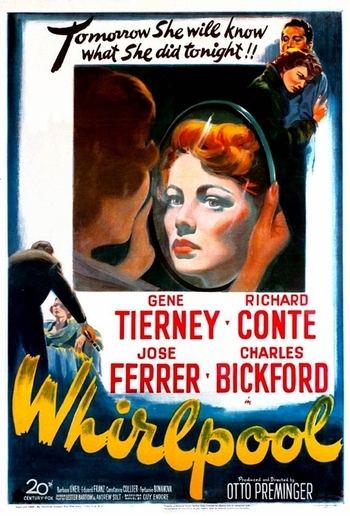 Solt finished his script, now called Whirlpool, on March 21, 1949. Hecht’s script was completed on May 16 and posed only one major problem for the Production Code Administration. Breen wanted one of Korvo’s lines (played by Jose Ferrer) rewritten. He found the line “I’ve nothing against women betraying their husbands. It usually improves their manners,” offensive. Somehow Breen was fine with the new line, “Personally I have nothing against women betraying their husbands. Even our government is against monopoly,” which to most thoughtful people, is more the line that one could consider offensive. Production began on June 6th and closed on July 22nd, costing the studio $1,295,000. So back to the opening quote in Preminger’s autobiography with regard to Freud and forgetting being a sign of a healthy mind—which I’m sure most of us here are glad to know. In 1971, Toronto Film Society founder Gerald Pratley published his book, The Cinema of Otto Preminger. The book includes the credits and synopsis of all of Preminger’s films followed by a personal comment by Preminger himself. For his comment on Whirlpool, the only thing Preminger had to say was, “I cannot remember anything about this film.” It’s good to know, especially due to the topic of the film and all the rewriting that it took to make it, that both Freud and Preminger consider this a healthy sign. Ben Hecht and Andrew Solt have tightly woven a screenplay about the effects of hypnosis on the subconscious but they, and Preminger in his direction, have eliminated the phony characteristics that might easily have allowed the picture to have slithered into becoming just another eerie melodrama. Their subject, in this case, is a young wife of a prominent psychiatrist who, since adolescence, has been plagued by kleptomania. The story concerns the web of circumstances in which she becomes involved when, though obviously she can afford it, she pilfers a bauble in a department store, and is caught. The film is highly entertaining, with very professional polish in direction and production, thanks to Otto Preminger. Also, there is occasional humour in the dialogue, which can presumably be credited to Ben Hecht who, although his name does not appear among the credit, was in fact, co-script writer. Acting honours must go to Jose Ferrer. The stage and screen star is once again playing Iago, a part he played to perfection in “Othello” on Broadway. There is a startling parallel, here, between the Iago of “Othello” and the sinister Dr. Korvo. 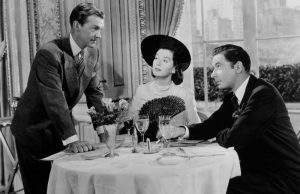 In sowing the seeds of jealousy and infidelity in the mind of the husband against the wife—while at the same time extricating himself from the circumstances of murder for which he is guilty—Ferrer gives a sharp, crisp performance embellished and lightened by subtle, suave wit. 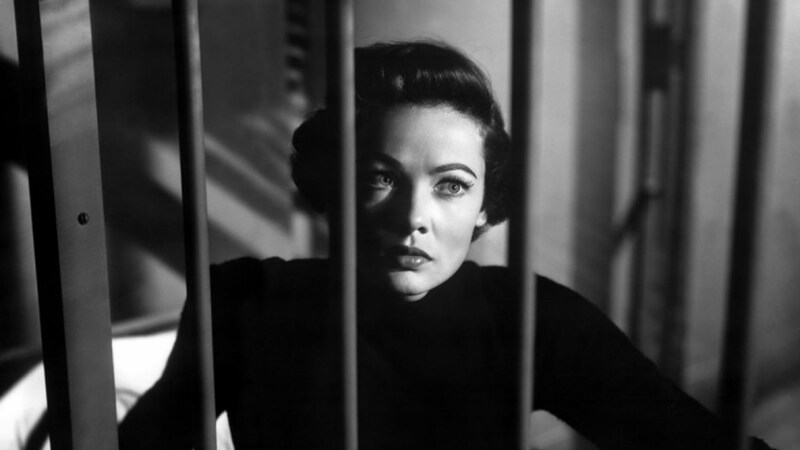 The always glamorous Gene Tierney, while less successful, gives a plausible performance, but it must be said that it is sometimes difficult to detect from her playing whether she is or is not under hypnosis. But she looks lovely. Richard Conte is a good straight man.